…with The Cupcakerie!!! We know March weather in Morgantown can be fussy sometimes, so stop in to get cupcakes in case you are snowed-in or going for a picnic! 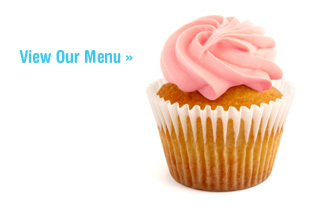 If you don’t feel like risking the weather, let us deliver cupcakes to you! Call 304-212-5464 or visit our website at www.thecupcakerie.com to place your order today!!! This entry was posted on Tuesday, March 5th, 2013 at 7:27 pm. It is filed under Blog. You can follow any responses to this entry through the RSS 2.0 feed. Wonderful! These cupcakes are excellent!